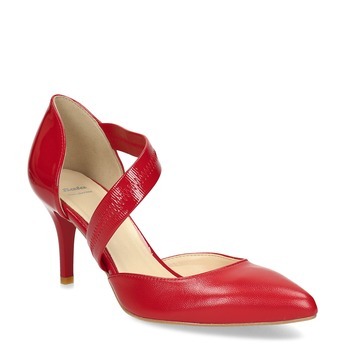 Elegant leather pumps on a stiletto heel that extend the length of your legs. 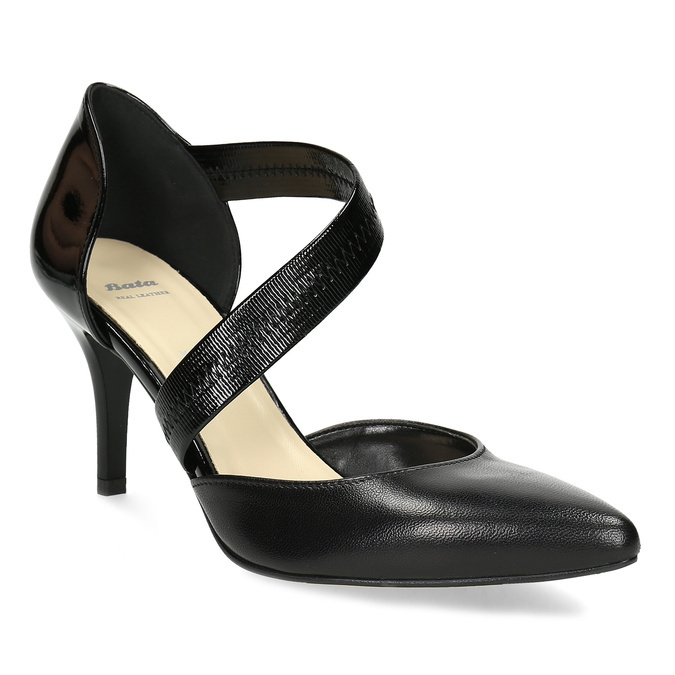 The instep strap adds an original look and makes wearing them more pleasant. 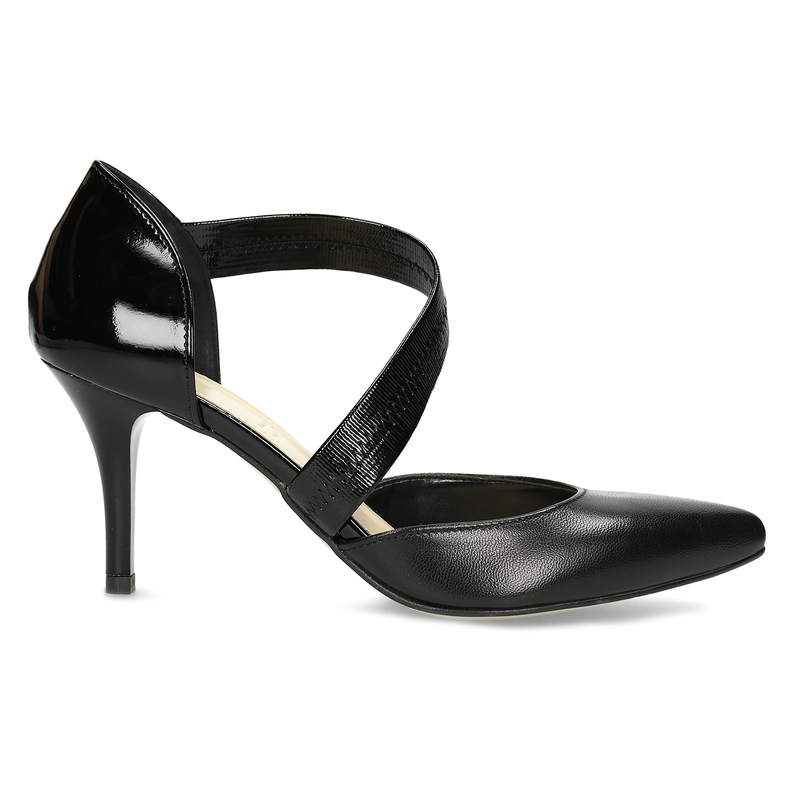 This trendy model will go with both office dresses and slim party jeans.